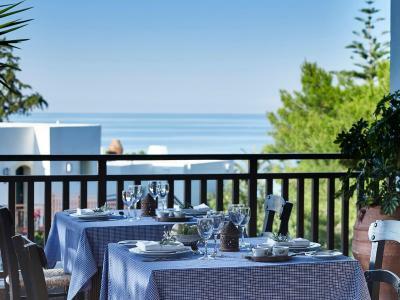 Lock in a great price for Creta Maris Beach Resort – rated 9.1 by recent guests! Very friendly staff, good food and drinks and great location at the beach. Can only recommend to book the delux rooms with poolside view, they are located aways from the main pool and hence more quite and calm area. Everything was high class, bungalow area was amazing, lots of pools, every one of them had even had a small place for the baby. Food diversity was wide and I've enjoyed hummus AND fava together :) mini Market had "everything" we needed and was fair, beach was 1 meter away and was very nice, we all had a great time. The service was excellent. All workers were friendly and helpful. 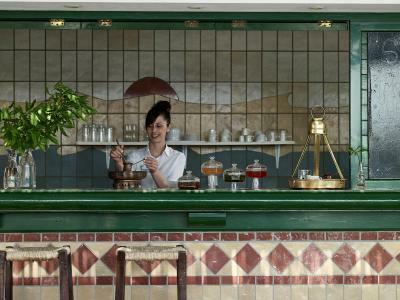 We especially liked the service at Almyra restaurant. Everything was just perfect. Awesome place. Great food. Amazing people. Perfect holiday! Nice beach and pools. Beautiful mini village layout. Good food. Good late checkout system. Friendly and helpful staff. Everything - friendly stuff, good food, with a great variety, perfect location, big and clean rooms. COMFORTABLE! Best friendly staff ever. 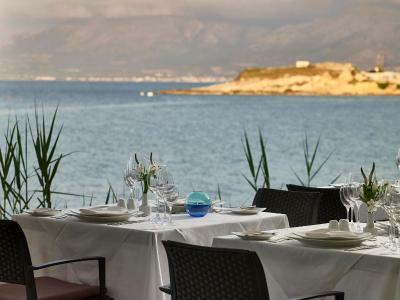 Very good rooms with sea view, fantastic food -amazing all inclusive menu. 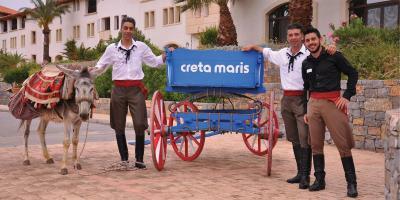 Creta Maris is our worldwide preferred holiday hotel. 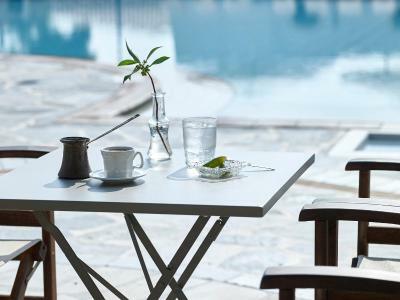 Creta Maris Beach Resort This rating is a reflection of how the property compares to the industry standard when it comes to price, facilities and services available. It's based on a self-evaluation by the property. Use this rating to help choose your stay! 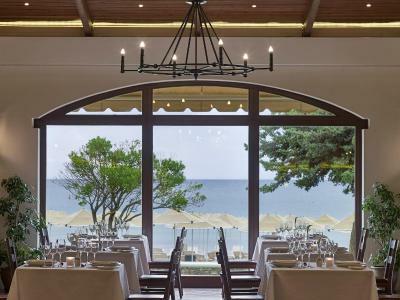 One of our top picks in Hersonissos.Overlooking the Blue Flag Hersonissos Beach, the all-inclusive Creta Maris Beach Resort combines a Cretan hospitality and green oriented environment with exclusive 5-star services. There are 6 outdoor and 1 heated indoor swimming pools, 5 children's swimming pools, a water-sports center and 2 floodlit tennis courts on site. Blending tradition with luxury, the spacious rooms of the eco-friendly resort have comfortable armchairs and warm earthy tones. Each is equipped with a satellite TV, fridge, slippers, tea and coffee making facilities and has a mountain, garden or sea view from its balcony or veranda. Some accommodations types are recently renovated. Air conditioning comes standard. 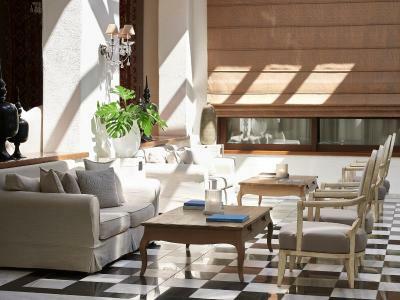 Spacious lounges, sun loungers on the beach and pools, blooming gardens, hair salon and medical room are at your disposal. There is free Wi-Fi in public areas and rooms and free private parking on site. 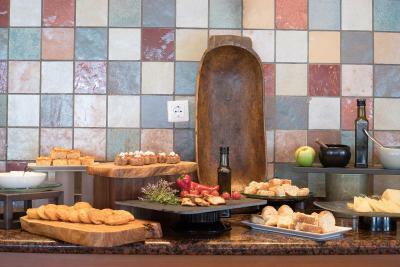 All Inclusive program is valid till 24:00 and dining options include Italian, Cretan and seafood restaurants. A total of 6 restaurants and 7 bars are available on site. 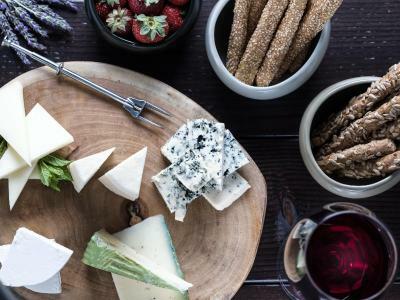 Features include dietary, lactose & gluten free menus, theme nights and romantic dining next to the seafront. Heraklion International Airport is 15 mi away. Front desk staff are readily available for car rental, currency exchange and transfers. 뀐 Located in the real heart of Hersonissos, this property has an excellent location score of 9.2! 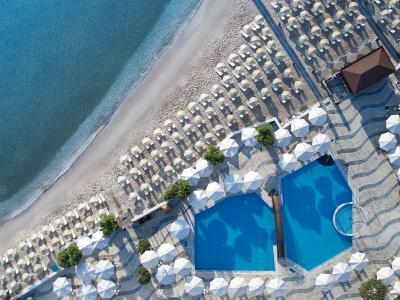 When would you like to stay at Creta Maris Beach Resort? The Special Offer Room, located either at the Maris building, the Terra building or at the Bungalows, can accommodate up to 3 adults, containing one bedroom and one bathroom with bathtub or shower, and a balcony or terrace with view to the garden/mountain. For guests with mobility issues, there are equivalent rooms with shower. 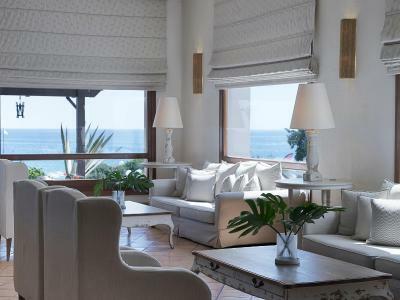 The Deluxe Sea Front rooms combine the traditional architecture of the resort with a more fresh and modern air offering beautiful views to the sea with a sea breeze and a calm sound of the waves. Located at the lower part of the resort, either at the Maris building or at the Bungalows, in a minimum distance from the sea, these rooms contain one bedroom and one bathroom with bathtub. They open to a balcony or terrace with direct sea views. This room type can accommodate up to 3 adults and a baby cot. Located either in Maris Building, Terra Building or at the Bungalows, these suites are spacious and full of daylight, while offering unique sea views. They are composed of 1 bedroom and 1 or 2 bathrooms with bathtub or shower and seating area. They open to a balcony or terrace. Carefully designed, this room is located either in Maris Building, Terra Building or at the Bungalows. It consists of 1 bedroom, 1 or 2 bathrooms with bathtub, a seating area and a balcony or terrace with garden views. The beautiful and spacious Collection Suite offer a wonderful sea view, 1 or 2 bedrooms, 1 seating area, 1 or 2 bathrooms with bathtub, balcony or terrace, and can accommodate up to 4 adults in a spacious area of 53m2 - 103m2. All Collection Suites are located in the Bungalows, at the lower part of the resort. 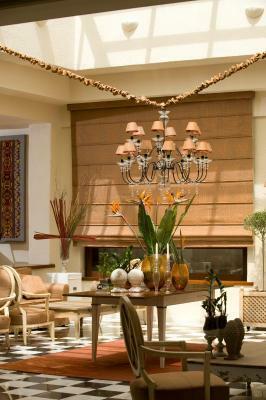 Carefully designed, this room is located either at the Maris building, the Terra building or at the Bungalows. It consists of an open-plan room including one double or twin beds and 2 sofa beds, and a bathroom with bathtub and can accommodate either 2 Adults and 2 Children or 3 adults and 1 child. It opens to a balcony or terrace with mountain or garden views. This room is located either at the Maris building, the Terra building or at the Bungalows. 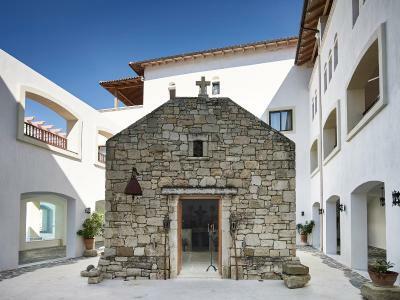 It consists of one bedroom, a bathroom with bathtub or shower and opens to a balcony or terrace with mountain or garden views. This room type can accommodate up to 3 adults and a baby cot. Deluxe Sea View rooms are located either at the Maris building, the Terra building or at the Bungalows. 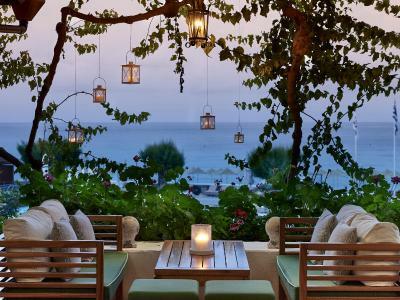 They consist of one bedroom, a bathroom with bathtub or shower, and a balcony or terrace with incredible sea views. These room types can accommodate up to 3 adults and a baby cot. Deluxe Pool Front rooms are located either at the Maris building or at the Bungalows, in front of a pool. They consist of one bedroom, a bathroom with bathtub or shower, and a balcony or terrace with pool views. This room type can accommodate up to 3 adults and a baby cot. Located either at the Maris building, the Terra building or at the Bungalows, this room includes a bedroom, a bathroom with bathtub or shower, and a balcony or veranda offering an incredible view to the sea. This room type can accommodate up to 3 adults and a baby cot. Located either at the Maris building, the Terra building or at the Bungalows, this room includes a bedroom, a bathroom with bathtub or shower, and a balcony or terrace overlooking the mountain. This room type can accommodate up to 3 adults and a baby cot. located either at the Maris building or at the Bungalows, in front of a pool, this room includes a bedroom, a bathroom with bathtub or shower, and a balcony or terrace overlooking the pool. This room type can accommodate up to 3 adults and a baby cot. The Deluxe Sea Front rooms combine the traditional architecture of the resort with a more fresh and modern air offering beautiful views to the sea with a sea breeze and a calm sound of the waves. Located at the lower part of the resort, either at the Maris building or at the Bungalows, in a minimum distance from the sea, these rooms contain one bedroom and one bathroom with bathtub and can accommodate up to 3 adults and a baby cot. They open to a balcony or terrace with direct sea views. Located either in Maris Building, Terra Building or at the Bungalows, these spacious and full of daylight suites offer unique sea views. These suites are composed of one bedroom and 1 or 2 bathrooms with bathtub or shower and seating area. Each opens to a balcony or terrace. 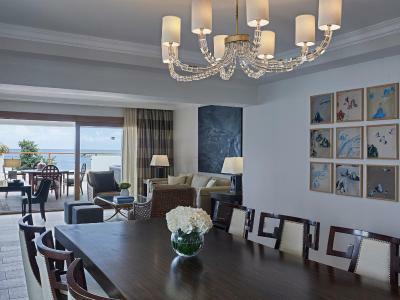 Offering magnificent sea views from its balcony or terrace, this spacious and elegant suite is located at the lower part of the resort, at the Maris building, and consists of 1 or 2 bedrooms, a seating area and 2 bathrooms with bathtub or shower. This suite can accommodate up to 4 adults. Located either at the Maris building, the Terra building or at the Bungalows, this room consists of 1 bedroom and 1 bathroom with bathtub and can accommodate up to 3 adults. 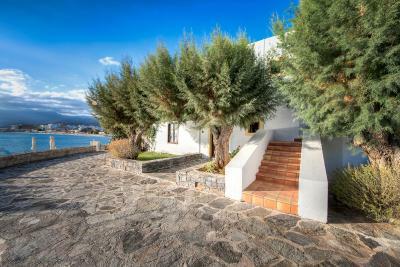 It opens to a balcony or terrace with garden and mountain views. Please note that the suite and bed type will be allocated at check-in according to availability. Guests may be asked to change rooms during the stay, and room types may vary. 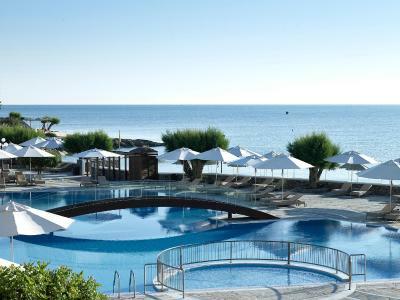 Creta Maris Beach Resort with a capacity of 680 rooms, has been originally launched in 1975 and is situated next to Hersonissos, just 25 minutes (24km) from the Heraklion Airport. 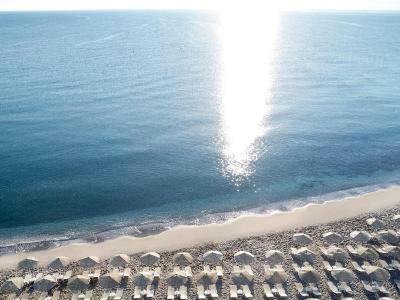 A blend of tradition and luxury together on a beautiful beach with crystal clear waters where guests can experience the authentic Cretan hospitality. Creta Maris, a small village with quaint twisting paths, small piazzas filled with the scents and colors of a wide variety of trees and flowers, is a unique combination of Aegean Architecture, Cretan hospitality, green oriented environment, and high quality All Inclusive services. 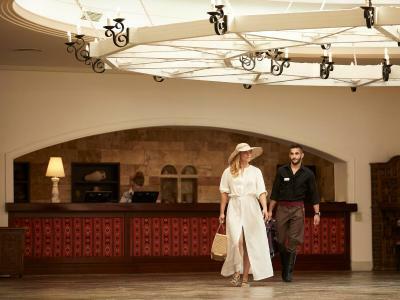 House Rules Creta Maris Beach Resort takes special requests – add in the next step! Creta Maris Beach Resort accepts these cards and reserves the right to temporarily hold an amount prior to arrival. Please note that the restaurants' operation is subject to weather conditions and the occupancy. At least one of the 6 restaurants will be open daily. 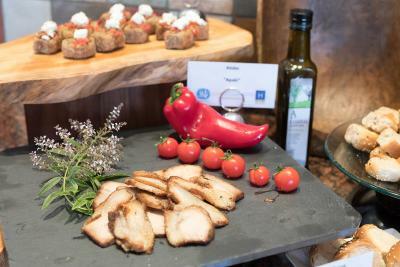 Vegetarian, gluten free & lactose free dishes are available. Dress code is applied in all restaurants during dinner. 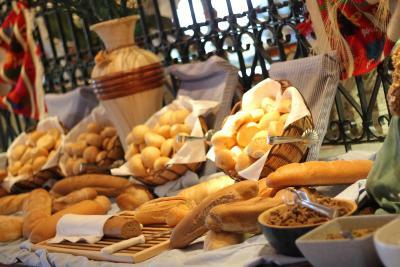 Creta Maris Beach Resort participates in the Greek Breakfast Initiative by the Hellenic Chamber of Hotels. All Inclusive Program is valid from 07:00 to 24:00. - free access to the fitness center and the indoor pool. - premium 45-minute free spa ticket per adult.